Roam, a new digital media company that focuses on outdoor adventure, has just raised $2.1 million dollars from some serious investors, including Jeffrey Katzenberg’s WndrCo. The round also included participation from Advancit Capital, SUSA, TackVC and Imagination Capital. Self-described as a “next generation adventure network,” Roam recruits adventures from around the world to create content for original mini-docs and episodic series that live across multiple social platforms. In under two years, the company has racked up a following of more than 1.6 million who have consumed more than 120,000 hours of videos on Facebook and Instagram. The company’s work has attracted sponsorship support from blue chip brands including Coors Light, DJI, Land Rover, National Geographic and Discovery Channel. In addition to its video content, Roam has been growing its ecommerce offering and recently sold out a special edition James Brand pocket knife and a Pela bio-compostable phone almost immediately, according to the company. The new funding will be divided between original content and expanding ROAM’s in-house team, the company said. ‘Tis the Season to curl up by the fire and chill with some Netflix and your loved ones. But you wouldn’t get the same thing for your brother as you would your grandparents, so why pick the same old holiday standbys that are supposed to be for “everyone?” This Christmas List is a handpicked streaming assortment for every special someone in your life this holiday. Jim Carrey hams it up as the big green Grinch in Ron Howard’s adaptation of the Dr. Seuss classic. There’s a lot of Carrey scowling beneath some ridiculous green makeup, boisterous singing and some bad “Who” related puns. The kids will enjoy it just fine, but any parental supervision for this one is recommended with some eggnog. No one needs an excuse to revisit this classic stop motion gem about Jack Skellington, the beloved Pumpkin King of Halloweentown who tries to spice up Halloween by introducing some Christmas spirit into the festivities. If you’ve never seen it, the film remains a dazzling and imaginative trip to another world with animation that’s timeless. “That’s scary stuff. Should we be worried about the kids in the audience? Nah, this is culture.” Muppets already make everything better, but we can agree this is the best of the “Christmas Carol” adaptations, right? 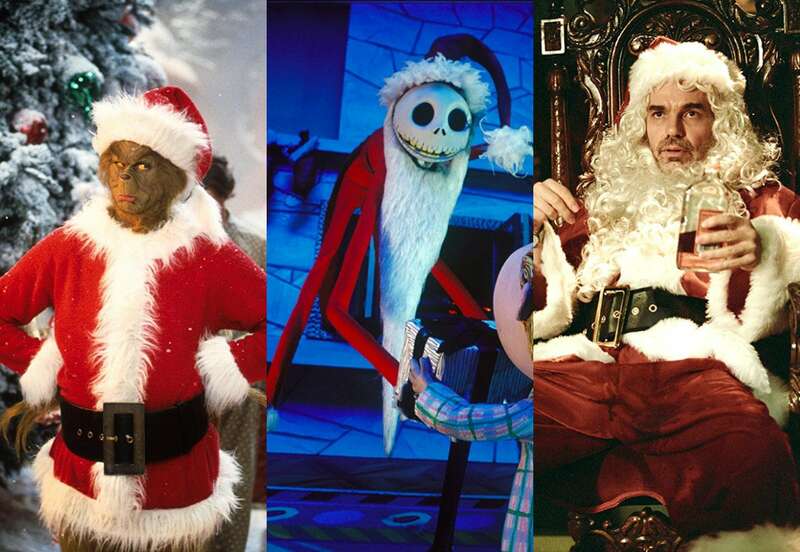 Filmmakers have been making Christmas movies for as long as they’ve been a thing. Fandor has dug up a 1910 silent movie short of “A Christmas Carol” and another silent short from 1915, the Biblical epic “The Star of Bethlehem.” The former jams in everything but Tiny Tim, and the latter manages a cast of hundreds to tell the story of Christ’s birth. If you’re sick of “It’s a Wonderful Life” or “Miracle on 34th St.” but still want to watch something classic, check out Irving Berlin’s “White Christmas,” which doesn’t have the same story as those two holiday favorites but is a darling musical featuring Bing Crosby’s iconic, baritone rendition of the title song. In the first film from Sean Baker, who directed this year’s “The Florida Project,” there’s no snow or even holiday cheer to be seen in “Tangerine.” It’s set on Christmas Eve on the sun-drenched streets of LA as two transgender women march through town on a war path to track down an unfaithful and duplicitous boyfriend. Not exactly a festive feel good movie. This French dramedy from director Arnaud Desplechin stars Catherine Deneuve as the matriarch of the Vuillard family and Mathieu Amalric as the outcast black sheep who was “banished” from the family six years earlier. Now Deneuve has contracted cancer, and Amalric is the only one who can provide a transfer. It’s festive family dysfunction over two and a half hours for that Cannes crowd. Beneath the glorious profanity and the miserable, jaded apathy of its main character, “Bad Santa” has such a warm heart and strong values about how the truly bad people in the world aren’t the ones who swear, screw and drink, but the ones who bully, neglect and even kill. It’s like “The Grinch,” but don’t watch it with your kids. The eternal question: Is “Die Hard” a Christmas movie? It’s a bit like asking if “Get Out” is a comedy in addition to being a horror movie. Everything is just more fun when you assume that it is. And as a companion present, be sure to add “A Die Hard Christmas: The Illustrated Holiday Classic” to your holiday shopping list.